The study abroad program was one of the things that first drew me to Goucher. I was intrigued by the idea of traveling abroad and exploring another country. I have traveled overseas in the past, but there is still a great portion of the world that I have not seen. One of my main reasons for coming to Goucher was to get a chance to travel abroad and immerse myself in another culture. I am set to go abroad this January, and with this trip, I hope to expand my horizons. I will be traveling to the island of Bali in Indonesia. 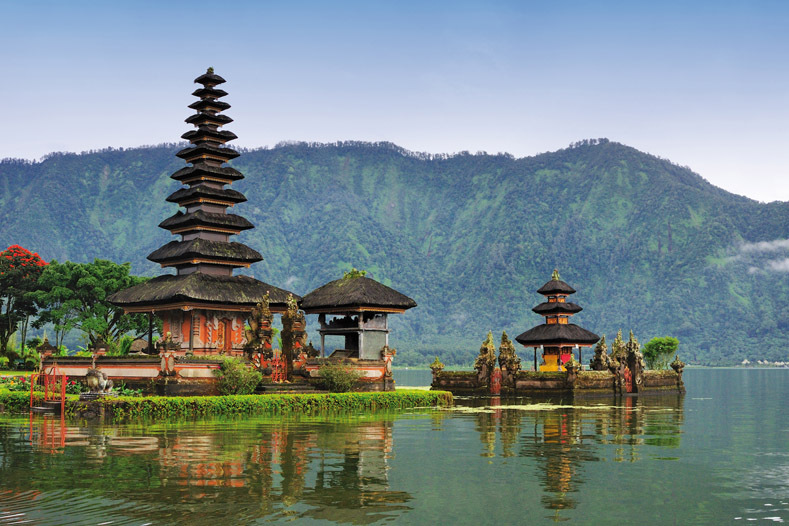 Bali is notable for being the only Indonesian island where the majority of the people practice Hinduism. Most of Indonesia converted to Islam through the influence of traders from India in the 16th century. Bali presents a rare and interesting opportunity for me. I have never travelled to Asia or any part of the Pacific. Indonesia is a vast and interesting country filled with many different people and cultures. This particular ICA piqued my interest because it presented the opportunity to immerse myself in a culture completely different from my own. For me, studying abroad is all about adventure, and part of adventure is getting as far from home as possible. I am a Communications major, and part of the focus of my major is seeing how the world is shaped by its own increasing modernization. Communication technology is accelerating at an almost blinding speed, which has a large impact on cultures and societies. I have taken anthropological courses due to my interest in looking at this phenomenon from another perspective. Bali is particularly interesting because it is isolated both linguistically and religiously within Indonesia. My interest will be in what impact the modern world has had on Balinese culture as well as cultural preservation. As an ICA, this trip will obviously have a very different approach to education than what I’m used to. There will be no classrooms, and the lessons will move from place to place. I sometimes have difficulty maintaining focus in a fixed classroom setting, so I think being constantly on the move will be beneficial for me. However, a challenge I may face is finding a way to apply the techniques of ethnography and event study—both of which I learned in my anthropology class—to what I will observe in Bali. I think this trip will serve as an excellent test of the abilities I learned in class. The most obvious challenge I will face in Bali as an American will be overcoming the language barrier. I don’t know any Balinese or Indonesian, so I will have to find a way to communicate effectively with the locals. I can be somewhat shy at times, and may find it difficult to stay in the group when interacting with locals. The differences in language and culture will increase my hesitation. Indonesia may also be a place where Americans face stigmatism and stereotypes, and I may find myself attracting undue attention. The tropical climate will probably take some getting used to as well. I hope that this experience will ultimately serve as a source of academic and cultural enrichment for me and help me broaden my horizons, as I stated before. I suspect that in the future, I will record my experiences as a follow-up to this article.